1. What does my dog do all day while at a board and train? The dogs sleep inside in our climate-controlled kennel, which is a room connected to our bedroom. We only work with a small number of dogs to give every dog the attention they need, and maintain a relaxed environment. First thing in the morning, all dogs go out on an off leash pack walk or a structured walk, followed by treadmill work, socialization/play time with our balanced pack (your dog will not be placed with aggressive or other client dogs). After this, dogs go through several hours of hands-on training, alternating between active commands, duration work, and specific behavior modification. During evenings there are more walks, bike rides and scooter runs. They will also receive plenty of rest, down time, and personal one-on-one attention. Your dog’s safety is our primary concern. 2. Will I get to visit my dog during the board and train? That will be decided on as we go along. Usually, during a two week board and train you will be invited in a day or two before the go-home session. This will be used to familiarize you with the program and tools. You may follow the progress and receive updates on the S. Miley Dog Training and Rehabilitation Facebook page. 3. What type of dogs do you train and rehabilitate? I work with all ages, sizes and breeds of dogs. We have successfully rehabilitated aggressive dogs, dogs with leash reactivity, dogs that resource guard,dogs with separation anxiety, pull on the leash, barking and other pushy bratty behavior. It takes a lot to create a well-behaved, balanced dog, including owner commitment, consistency, and follow-through, so many variables that it would be impossible to give a 100% guarantee. However, we only choose the most dedicated and diligent owners so, in our experience, no matter how severe the issues, we consistently get great results. We work hand in hand as a team in your dog’s rehabilitation. This process of teamwork and collaboration begins before we even meet your dog, moves through the training process, and continues long after your dog has gone home. Once you hire us, you become part of the S. Miley dog family, and your success is our utmost priority. NO! Your dog will become calm submissive but that does not mean he will no longer have the same personality. A happy go lucky guy will still be a happy go lucky guy…with an off button, an intense pup will learn to relax and enjoy life and in each case the dog will be more focused relax and happy. I use a variety of tools. I assess the dog and determine which tool lends to the best conversation between handler and the individual dog. This may mean I use a slip lead, a Halti, a prong collar or an e-collar. We also take into consideration the needs of each owner. 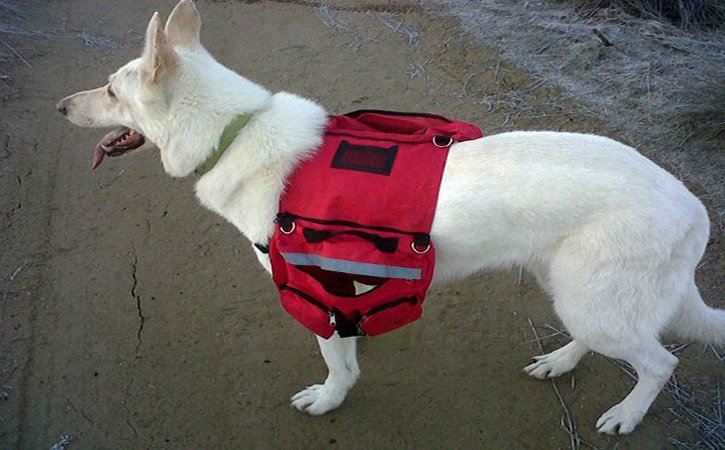 Does the owner want bullet proof off leash recall? Is the dog leash reactive? Is the dog aggressive? Is the dog fearful? 7. Is my dog too old for this? Unless there are underlying health issues even old dogs can benefit from learning to be calm submissive. I have trained many older dogs that for years have been uncomfortable and acting out… after training they finally have learned to rely on the pack leader and relax and enjoy life. 8. What type of training do you do? The type of training I do and the tools I use are determined by the individual dog. I choose the least restrictive tool and technique to ensure that the dog has a good and positive association with learning. For some dogs, that will mean slip leads, prong collars, e-collars, etc… I do not always use treats as these can be counter productive to some dogs causing too much excitement to learn. I do not punish or harm dogs. I want your dog to love to learn! I use obedience training exercises as leadership building activities. We have all seen that dog that knows all the obedience tricks but is a jerk. Your dog will learn obedience as a means to remaining relaxed and to bond with you.